In the words of President Franklin D. Roosevelt, “The only thing to fear is fear itself.” But he was merely talking about the Japanese invasion of Pearl Harbor and not the crippling fear that many people experience when faced with the going to the dentist. Dental Phobia is an actual clinical term that means THE FEAR OF DENTISTS. If you are one of the millions of people who suffer from this common phobia, you are likely shaking your head “YES” right now. There’s a paradox about Dental Phobia that is fascinating. Studies show that dentists are consistently ranked as among the most trusted professionals. Yet, fear of actually visiting the dentist is so much a reality for so many people, that it can’t be ignored. To avoid feeling the fear, thousands of people (even when in pain) can’t pick up the phone to schedule that long overdue dental appointment. Dental Phobia can be so overwhelming that it can lead to years of procrastination. Procrastination is often why a small problem, such as a tiny cavity, can becomes a very BIG and COSTLY problem (which only helps to reinforce one’s anxiety-a real dental “Catch-22”). Thanks to the entertainment media, fear of the dentist is deeply woven into our collective consciousness. Just think of films such as Marathon Man, Little Shop of Horrors, The Dentist, etc. and you know what I’m referring to. Modern folklore, too, can reinforce some common myths that are associated with dental treatment. For some, just the phrase root canal is enough to bring on images of pain and suffering. Here’s some good news: Dental Phobia is so commonplace that most dentists address it as one of the most essential parts of their daily practice. I’ve been a dentist for over 30 years. I have discovered that my most anxious and fearful patients are singularly scared of one specific thing: THE NEEDLE. Whether it is a carry-over from childhood or the impact of an unpleasant adult experience, fear of getting a shot, especially in the mouth, is an almost universally shared emotion. But here’s what is crucially important for you to understand: nearly every needle-phobic patient who has ever sat in my chair has been able to overcome their fearful angst simply by receiving calming and reassuring words of encouragement, having a the comforting hand of an empathetic assistant to hold, and the application of lots and lots of topical (on the gum) anesthetic before the deed is done. For dental phobic patients the next hurdle happens at the point when the feeling of numbness has spread and treatment commences. Many people experience unease that the injection has fully deadened the area to be treated. This feeling of angst is palpable and can be described as a disquieting ANTICIPATION OF PAIN that could rear its head at any moment. Add to that the THE SHRILL OF THE DRILL, THE STEADY SPRAY OF WATER (images of waterboarding), and THE SMELL of burning tooth. If you have ever experienced an unexpected jolt of pain during a dental procedure, the memory is both long lasting and visceral. The fearful patient will wait with apprehension for that jolt to come. Even if it happened only once and it was years and years in the past, the feelings of dread can readily surface. Again, reassuring words, a compassionate hand to hold, plenty of anesthetic and allowing enough time for complete numbness to set in has proven to be the magic combination that gets patients to calm down a bit. A set of headphones with music is also a pleasant distraction. Dentistry has come a long way in the past few decades. Great advances have been made in the delivery of care, especially in management of anxiety, fear and pain control. Comfortable and nearly painless care is not just a reality today. It is an essential reality. My staff and I are proud to have built a practice known to deliver care in a trusting and caring environment. Is this you? If you’ve avoided making a dental appointment because the thought of the treatment paralyzes you, may I make this suggestion: call and ask for a CONSULTATION VISIT ONLY. Go and meet the dentist with the knowledge that NOTHING will be done to you on that day. Then decide for yourself if this dentist, this office staff, and you, are a comfortable fit. If you approach the consultation is if you were conducting a job interview…to hire someone…you will feel more in control. You’re in the driver’s seat. Don’t be afraid to ask questions. Don’t be afraid to say you’re afraid. And make sure all your concerns are addressed before you leave. If one practice isn’t a good fit, try another. A consultation is the first step in overcoming your fears. Do you suffer from Dental Phobia? Have you found ways to overcome it? I’d love to hear your feedback. Read: Painless Root Canal: An Oxymoron? I like your plan and encourage you to speak with your dentist and his team. 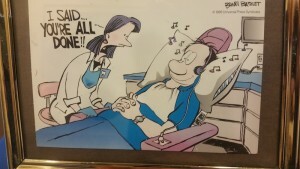 As the patient being treated you are the single most important person in the room and should me made to feel that way. Good luck. I’d like to say your article eased my fears of the dentist but it has not. As someone who’s asthma will not allow the use of laughing gas, and who is allergic to the caine family, I don’t have to deal with the fear of needles, I have had to go through three root canals with nothing to numb the pain and it is excruciating. 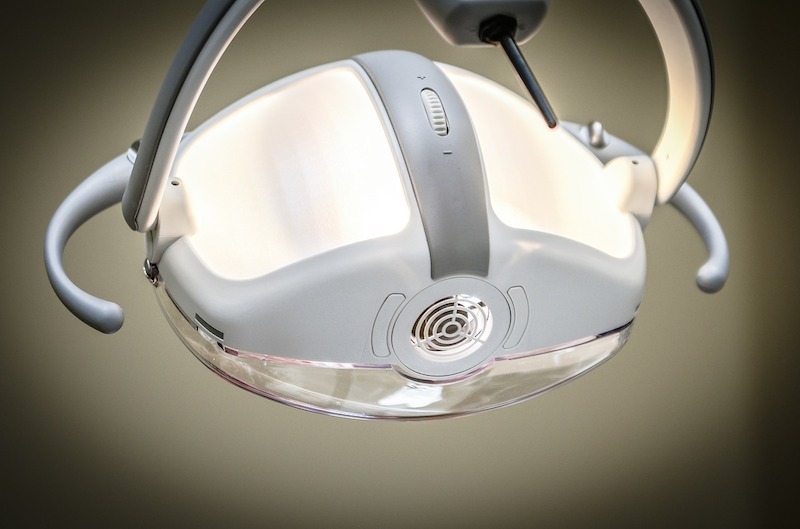 after the first time, I couldn’t muster up the courage to go until the pain of the tooth itself is close to that of the procedure, and even then it’s a struggle to not have a panic attack getting to the chair. I’m not sure what to do anymore. What you self-described goes far beyond dental phobia. Your dental experiences, compounded with your inability to be anesthetized, would give anyone trepidations. Two suggestions: 1) There are some newer local anesthetics that have different pharmacology and might be appropriate and effective for you. If your own dentist doesn’t use them, call around to find someone who does. 2) Consider sedation dentistry. Again, call around to find a dentist that provides that service. Thanks for this. I am terrified of the dentist so keep visits to a minimum. Lo and behold I have another painful cavity so am due a visit. This article has made me think that it might be time to keep visits a regular thing. That way, the fear will lessen and the cavities won’t be quite so catastrophic. I am heartened by your response. Remember to be open and upfront with your dentist about your trepidations over dental care. It will help him or her help you and make for an easier experience for both of you. It’s amazing feeling, if you can see the reaction of patient when the fear of dentist disappears during treatment! Even more satisfying and rewarding than completing the hardest operation you could think of! I have a friend who asks to bring their small non-allergenic dog to help relax them. Is that kosher? I actually have several patients who bring their therapy dogs that sit on their laps or in a carry case. I have seen first-hand the comfort provided by a four-legged friend. Obviously, I can’t accomodate larger breeds, but sure, it’s absolutely kosher, though not to eat. Be upfront about your feelings and go for it. I’m happy to have helped in some way. Let me know how it goes.